Dizzy has picked and pried deep into himself to deliver one of his most personal releases to date. Introspective lyrics bisect a mix of upbeat but mellow, trap-inspired beats. The album opens up with “State of Mind,” a chill, laid-back track that gives us a look at what goes on in Dizzy’s head. Filled with fat snare hits and a relaxed string section, he raps his credo, “It’s all about your state of mind.” The songs “Reunite For the Night” and “Too Real For This,” featuring Rockie Fresh, give off that same mellow vibe with smoothly delivered verses and airy instrumentals. Not one to limit himself to a single style, Dizzy goes hard on tracks like his single “Everywhere I Go” and “Nuttin Bout Me.” Blaring bass and heavy kicks, Dizzy answers his fans and declares it’s turn-up season in “New Generation,” rapping, “Independent, sold-out shows / and I don’t think that’s changing.” We don’t think that’s changing anytime soon either, Dizzy. Not many 21-year old rappers can say that they’ve been rapping for over a decade. Las Vegas, Nevada, Rapper Dizzy Wright began rapping at just 8 years old, in the group “DaFuture” with his brother and very close friend; his mother wrote his raps at the time. Dizzy broke through when he was discovered at the Sheikh Music “Rip the Mic” competition in 2010 and signed onto Funk Volume a few months later. 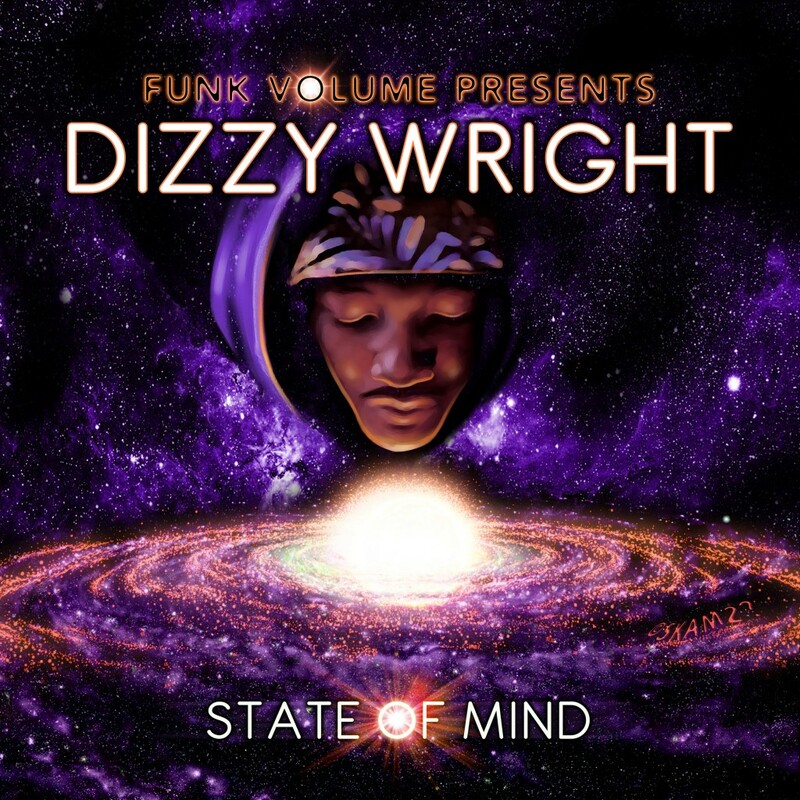 In April 2012, Dizzy released his first Funk Volume album, SmokeOut Conversations, peaking at #2 on the iTunes Hip-Hop charts. He followed it up with a free mixtape, Free SmokeOut Conversations, which has been downloaded over 200,000 times, and helped propel Dizzy to his own national 30-city tour. In December 2012, Dizzy went on to release the first of four EPs, The First Agreement, which reached as high as #2 on the iTunes Hip-Hop chart. In March of 2013, Dizzy gathered enough votes to be selected as the “People’s Choice” member of the XXL Freshman Class of 2013. Also in 2013, Dizzy released The Golden Age mixtape and followed it up with The Golden Age Tour.